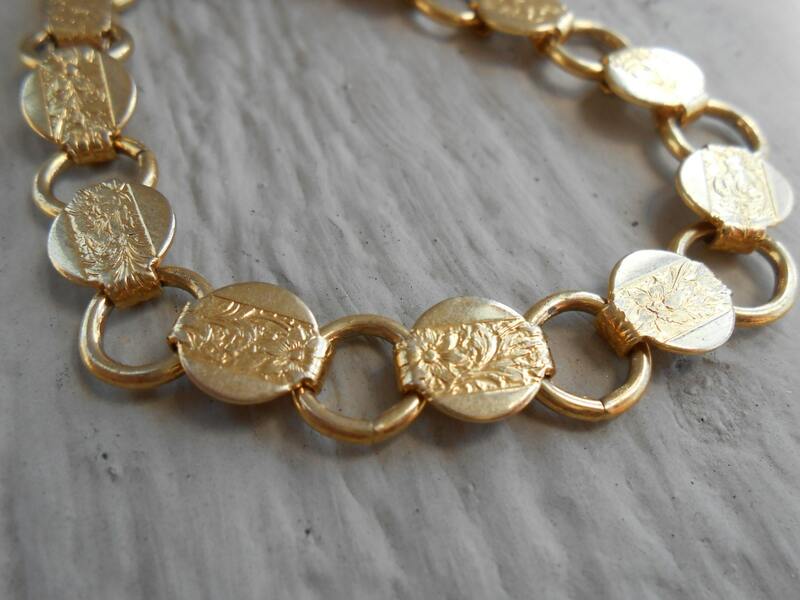 Vintage Gold Floral Bracelet. Mother's Day, Bridesmaid Gift, Anniversary, Birthday. 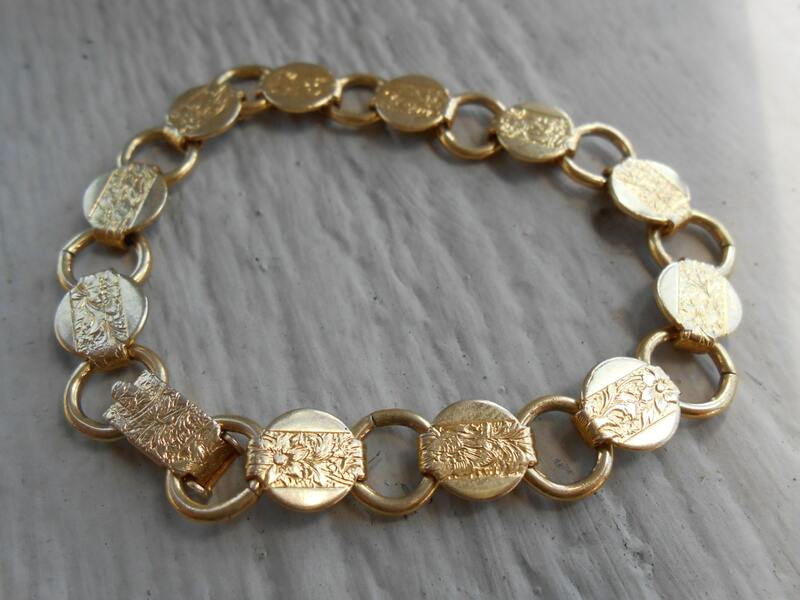 This gorgeous, vintage bracelet is filled with flowers! 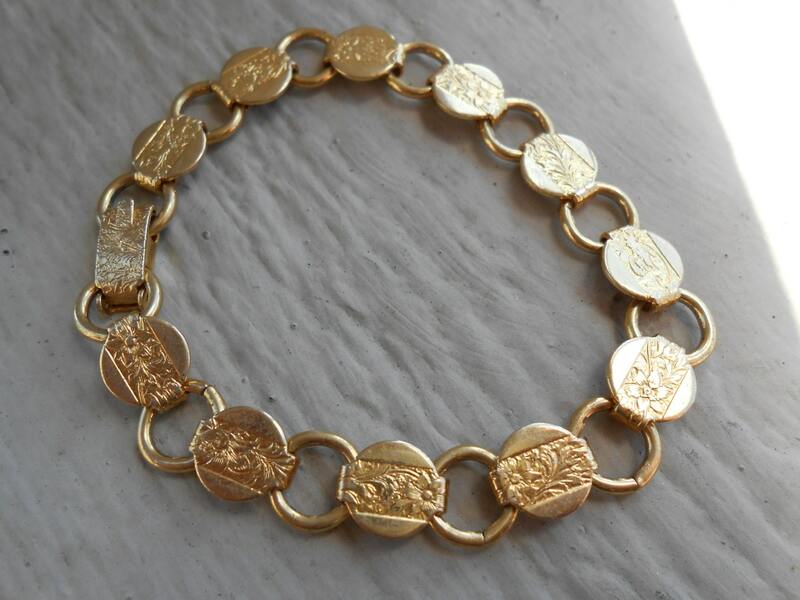 It is a gold tone and has connecting links of circles. Each circle has a flower and leaves on it. 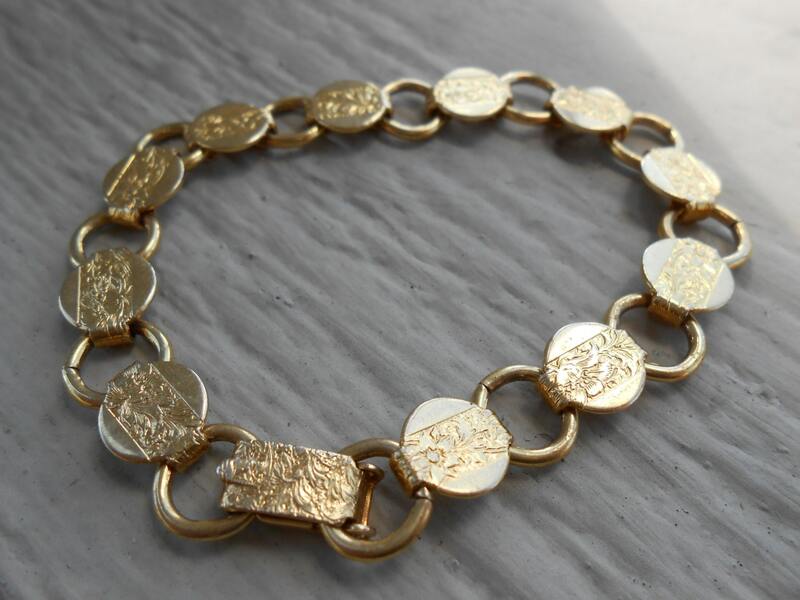 It was made in the 1980s by Sarah Coventry. 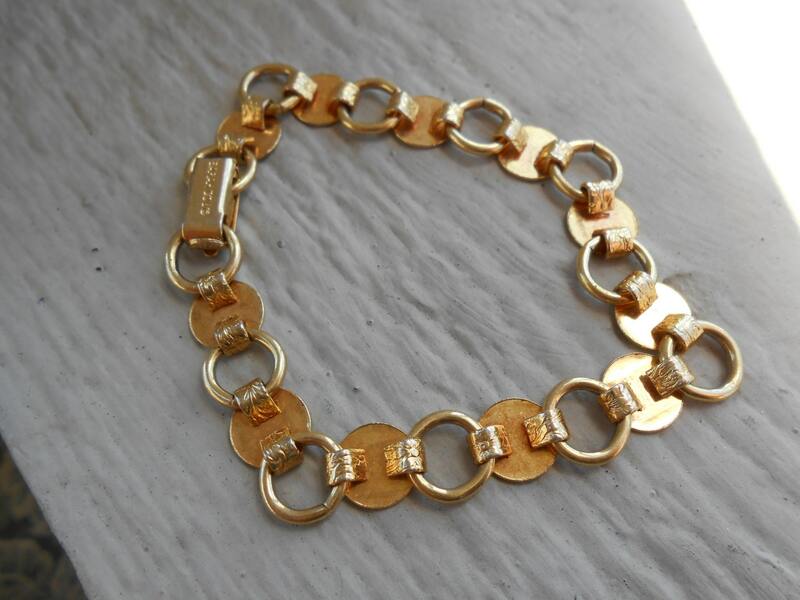 This bracelet would make a perfect gift! It's in excellent condition! The bracelet measures about 7 1/4" in circumference. It's 3 1/2" in diameter. It is 5/16" wide.